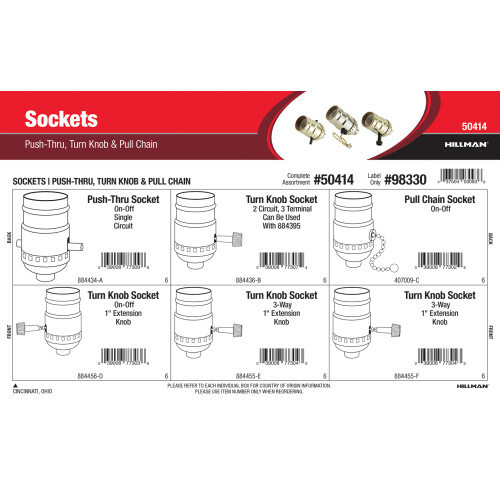 An assortment of push-thru, turn knob, and pull chain light sockets from The Hillman Group. This assortment includes 3-way, simple on-off, and 2 circuit - 3 terminal socket variants. Full assortment contains six (6) refills comprised of Hillman item numbers #407009, #884434, #884436, #884455, and #884456. Full assortment features two (2) refill boxes of item #884455.